Cursed into a half-human, half-lizard monstrosity by the Meka-Dragon, a lonesome adventurer is facing the challenge of a lifetime! In search for a cure, our mutated anti-hero will explore the many traps of Monster Land... and defeat many stuff throwing, curse-wielding dragons. How many more transformations can one hopeful body survive as it turns into a Lizard, a Mouse, a Piranha, a Lion, and a Hawk... The six different forms of our shape-shifting hero make up the cast of this non-stop action-adventure platformer! If you’re looking for the areas in which Wonder Boy: The Dragon’s Trap falls short, you can look back to the original title and find clunky, outdated gameplay. However, everything that has been altered by Lizardcube is truly excellent. I really hope they go on to make an original title after this as they have done a lot of great work here. The score is most pleasing and the aesthetic sublime, but gameplay is so important and here it leaves you wanting. Wonder Boy: The Dragon's Trap may be out of its time – it's rock hard, a little obtuse, and won't lead you by the hand – but benefits from a stylish and sensitive makeover that stays painstakingly true to the mechanically perfect original. The Dragon's Trap is a remarkable thing, then. Not only is it a retro remake that's actually not crap, it's as good as the day it first came out and even holds its own against modern releases. 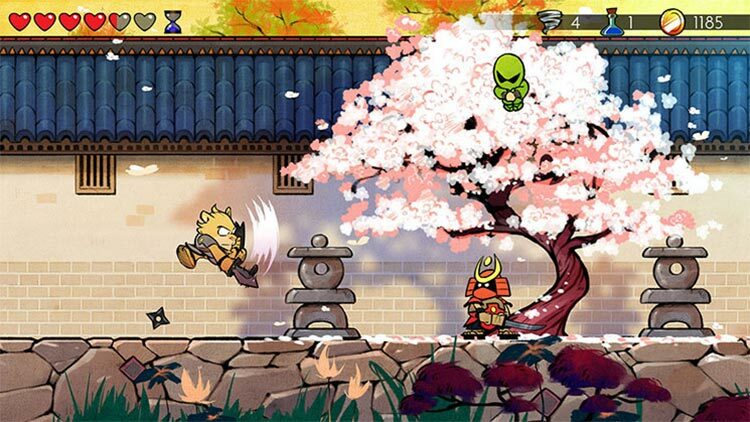 Wonder Boy: The Dragon’s Trap is a monster of a remake. It gives a fairly forgotten gem a profound buff to let its inherent charm shine through even brighter with gorgeous artwork and music. Its animal-altering mechanic and hoards of enemies guarantee that you’re in for a good, fun challenge, and while its platforming and boss fights may not have the same impact, it’s no wonder why the developer saw Wonder Boy fit to return. But through all those old-school problems, The Dragon’s Trap is still a strong and engaging Metroid-esque platformer that features a pleasant interconnected world filled with areas packed with secrets and grand old-fashioned platforming. 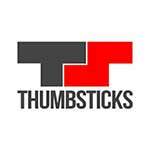 It’s well worth overcoming the outmoded aspects to experience a fresher take on a great game. 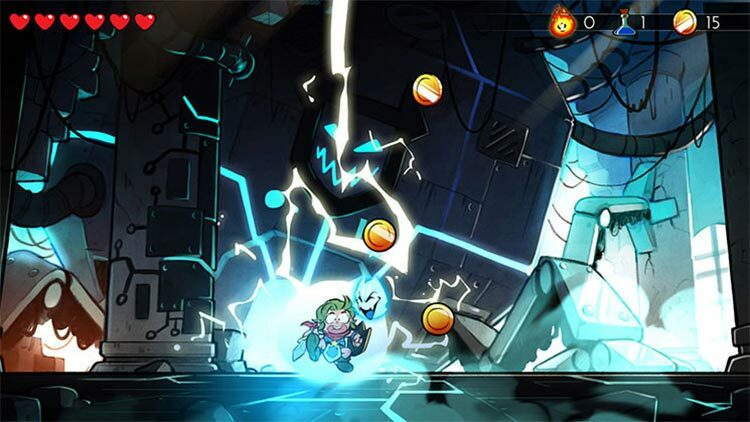 Wonder Boy: The Dragon’s Trap is a game for Metroidvania fans. 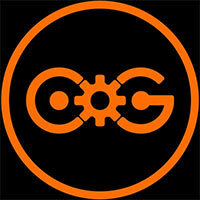 If you’re the kind of fan who wants genre innovation, and modern mechanics, you might want to steer clear. If you’re the kind of fan who still plugs in their Nintendo and likes to see what the origins of modern games look like, then pick this up. And if you’re a fan of the original, then you’ll find this remaster to be everything you could want: beautiful and smooth. 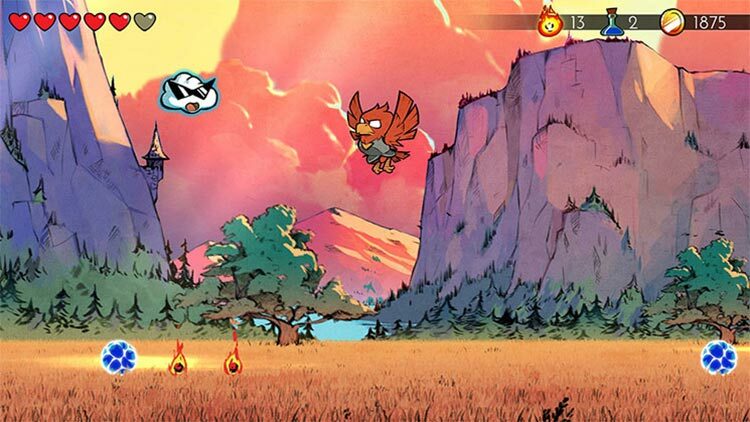 Wonder Boy: The Dragon’s Trap is a beautiful game that long time fans will enjoy immensely. Even though gameplay can be a little frustrating and outdated it’s still a game worth checking out and it’s one of the better adventure games available on the Nintendo Switch eShop. Lizardcube and DotEmu have done a lot of work to bring The Dragon's Trap up to today's standards, and the new version plays as good as it looks. It's plain to see how much effort went into making this into the best possible version of a game that deserves to be a classic, and it's absolutely worth your time. 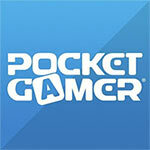 Its biggest failing is the fact that like the Master System original, it can be completed in the space of an evening. Still, that evening will be one of the most enjoyable you can possibly spend with your Switch, making this a recommended purchase regardless. Wonder Boy is full of wistful retro charm, and an absolutely essential purchase on the Nintendo Switch eShop. Definitivamente es un juego que podemos recomendar de forma amplia y no nos queda más que ver lo que seguirá para Lizard Cube pues con este remake nos conquistaron sus bellísimas animaciones y música . ¿Quieres saber más de la historia de Wonder Boy y en específico del clásico Wonder Boy III: The Dragon’s Trap? Entonces no te puedes perder nuestro episodio de Atomix Legacy en el que revisitamos varios títulos de esta serie de Sega, incluyendo el del que hoy reseñamos su remake. Entre pitos y flautas, me da la sensación de que llevo buena parte del año jugando a revisiones de juegos antiguos, y eso que en realidad no han sido tantos. 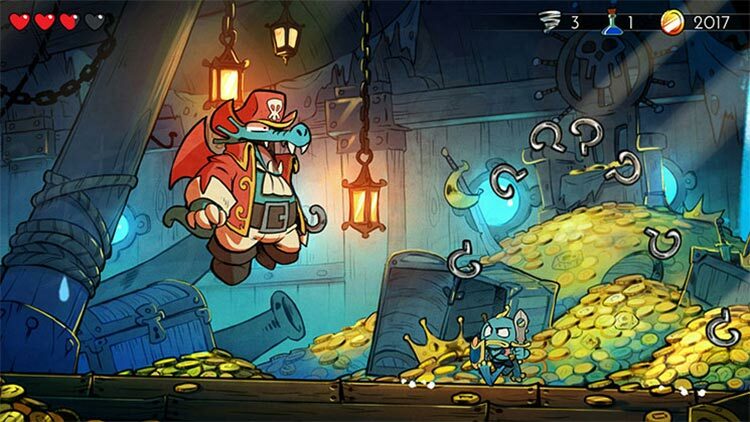 Con Wonder Boy: The Dragon's Trap, Lizardcube hace un trabajo extraordinario remozando el apartado técnico de un juego que, con razón, es recordado por mucha gente como uno de los mejores de su generación. El juego, como ya lo era antaño, convence por la variedad de habilidades, exploración y la libertad sin casi indicaciones en muchos momentos. Las 5 horas que puede durar, algunas más si vamos a por todos los secretos, son para disfrutar y deleitarnos con cada rincón del escenario, la música y por supuesto la aventura en sí, que a pesar de los años sigue manteniendo el tipo. Solo desde el cariño y el respeto más profundos se puede hacer algo como Wonder Boy: The Dragon's Trap, una manera excelente de recuperar un juego culto, quizás no tan conocido y recordado como se merece. Lizardcube, con apenas cinco personas, han sido capaces de actualizar audiovisualmente este juego de manera impecable. Sin cambiar prácticamente nada de su base jugable, pero sí con un impresionante lavado de cara, esta aventura de acción y plataformas es una pequeña gran píldora nostálgica capaz de hacer sonreír a cualquiera que en su día, hace casi 30 años, disfrutara de este gran clásico. Su diseño de niveles y un sistema de control algo impreciso le restan algo de atractivo, pues se le nota el paso de los años, pero aun con esas, este es un videojuego que conserva intacta toda su magia; sigue siendo tan divertido como antaño. Todos estos defectos hacen mella en la nota final, pero no impiden que estemos ante una aventura notable, plagada de morriña y retos que nos sacarán de nuestra agarrotada rutina jugona. Atreveos a superar el reto de la trampa del dragón y seréis dignos habitantes de Monster World. Avec The Dragon's Trap, les développeurs sont parvenus à respecter l'ensemble de l'œuvre 8-bits tout en apportant un esprit bande dessinée à tomber à la renverse. Oui, le jeu est court et ses fondations reposent sur des éléments qui peuvent paraître caduques aujourd'hui. Mais en dehors de ça, sa réalisation somptueuse, ses thèmes musicaux, son gameplay bien réglé et ses multiples personnages en font l'une des productions 2D les plus épatantes de ces dernières années. Vraiment, des remakes de cette qualité, on en redemande ! 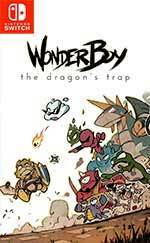 Certes, Wonder Boy : The Dragon’s Trap est un remaster comme on en voit fleurir partout, sur toutes les consoles depuis maintenant quelques années. Mais au risque de nous répéter, il y a des bons remasters et des mauvais remasters. 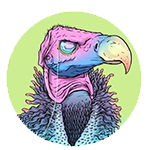 Le travail de restauration de la part des développeurs français de Lizardcube est tel qu’il est important de ne pas passer à côté de cette jolie pépite. 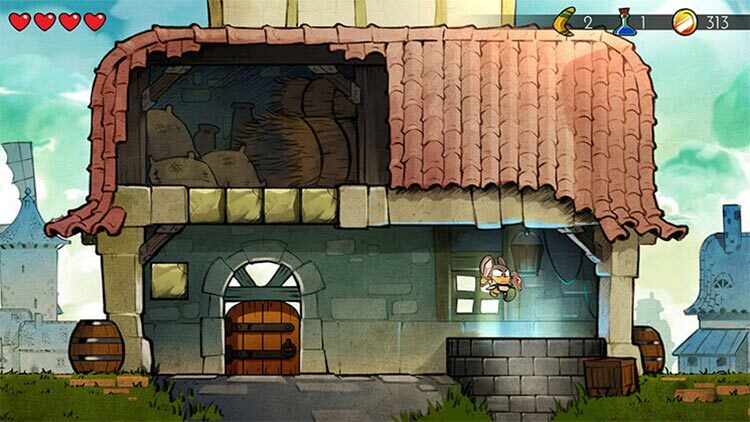 Wonder Boy: The Dragon's Trap è un remake che dimostra l'enorme affetto e la passione dei ragazzi di Lizardcube, uno sviluppatore che andrebbe davvero premiato per essere riuscito a mescolare passato e presente nel rispetto dell'opera originale, senza snaturarla ma, anzi, ricordandoci come si giocava negli anni '80 col piacere di una veste grafica nuova ed eccezionalmente curata. Om du älskat Dragon's Trap sedan 80-talet kommer du garanterat känna dig som hemma här, men även om du aldrig hört talas om Wonder Boy före idag finns det mycket att hämta i denna helyllemysiga nyversion. Speciellt då prislappen ligger på smärtfria 200 kr. Nu vill vi se ett helt nytt Dragon Boy-äventyr från den franska indiestudion, för om de kan lyckas så här bra med konverteringen av ett Master System-spel kan de mycket väl bli den bortglömda spelseriens väg tillbaka till rampljuset.